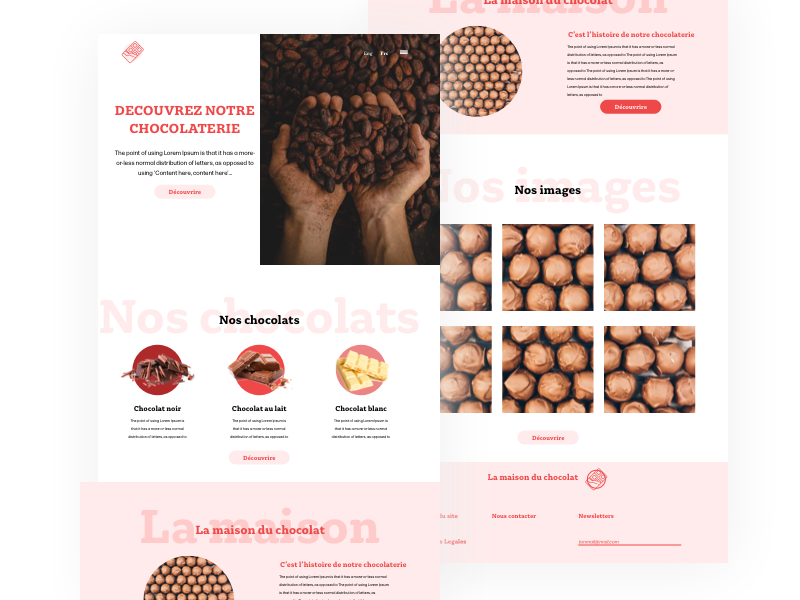 Today I created an interface for a chocolate factory. 89/5000 I totally agree. I will rework it taking into account your feedback. I like it a lot ! but I think the text is a little bit too close to the image on the top left and maybe the light pink letters in the background should be a different font, or bigger, or in all caps ?